7 Money Saving Tips for Purchasing Your Wedding Dress | Wedding Tips ARE YOU A SUPPLIER? Your wedding dress will most likely be the most expensive gown you sport in your entire life. Naturally, you want to cut costs where you can and we’ve got the tips you need to keep spending to a minimum. 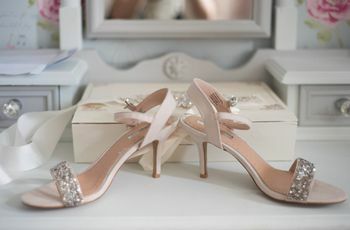 Remember, your wedding attire (including your shoes and accessories) should only eat up around 7% of your entire wedding budget, so try your best not to overdo it. Here are a few money saving tips for purchasing your wedding dress. 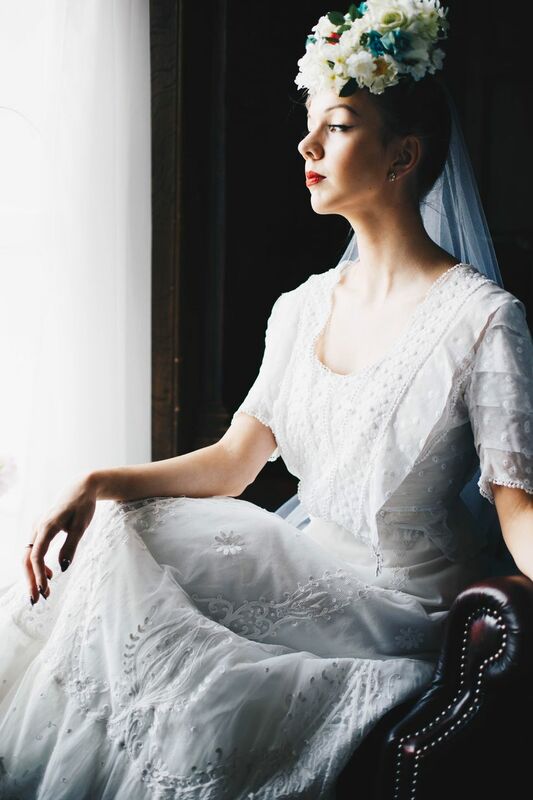 If you’ve been sketching out pictures of your dream wedding dress or have something super specific in mind, you may be tempted to order a custom gown that matches your vision perfectly. While this is an awesome idea, it’s also a pricey one. To save you money, head to the shops and ask a salesperson to pull designs from the racks that look similar to what’s in your sketchbook or on your Pinterest board. You may have to make a few sacrifices, but your bank account will thank you. 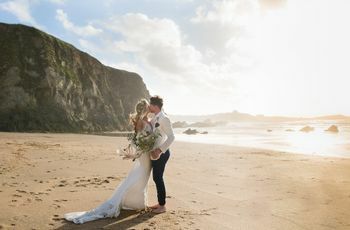 While you’ve probably seen your fair share of Swarovski-encrusted bodices and hand-embroidered gowns, if you’re looking to save money on your wedding dress, you may want to set your sights on something simpler. Bells and whistles like these are extremely laborious for seamstresses, so, naturally, they come with a heftier price tag. More streamlined designs typically require less work and therefore are less expensive. We all know stores like ASOS, Topshop and Zara are great for day-to-day attire, but you may be able to find a few wedding-worthy looks among their jumpers and jeans, too. In fact, ASOS has its very own affordable bridal line with options in just about every wedding dress silhouette and style you’d find in an upscale bridal boutique at a fraction of the cost. Most wedding dress shops will sell their floor model gowns at a discounted rate. 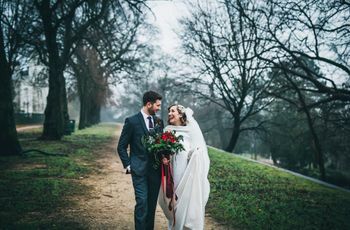 They may have some light wear and tear due to other brides trying them on, a good dry clean and the help of a seasoned seamstress can do wonders. Just be sure to give the frock you’ve got your eye on a good check from top to bottom, to be sure there’s no irreparable damage. A second hand wedding dress is guaranteed to save you money. Look in charity shops and the gently used section of boutiques and you may be able to find a hidden gem that’s more than 50% off (score!). There’s no shame in being a bargain shopper, even when it comes to wedding dresses. 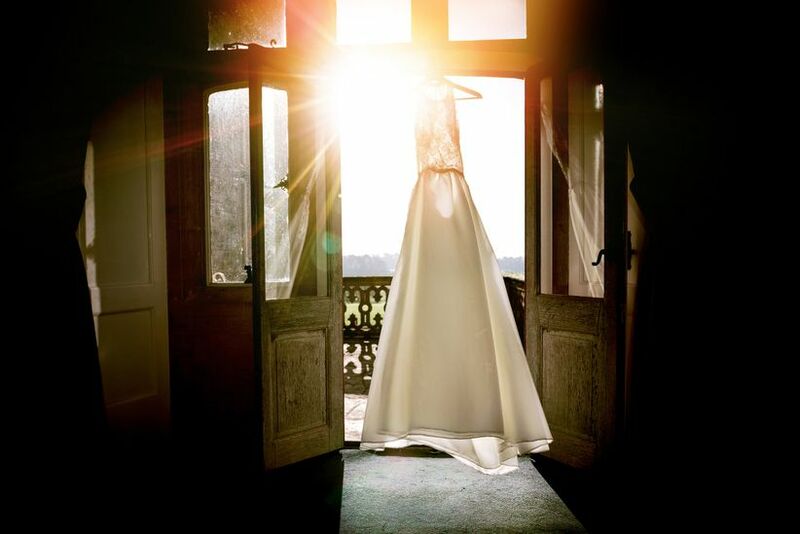 Start by checking out the exclusive discount offers in our wedding dress shop directory. Many bridal boutiques hold sample sales with deep markdowns, so keep your eye on the websites and social media pages of your faves (that’s where they’ll announce them first). You can even call the shops in your area and ask if they’ll be hosting any sales in the upcoming months to get the details before they’re formally released. Some brides like to do an outfit change between their ceremony and reception to put on a wedding reception dress. While this will give you the added bonus of having your guests ooh and ahh over your look twice, it won’t do your wallet any favours. Instead of purchasing two, we suggest looking for a dress that you’re comfortable dancing, drinking and mingling in so that you won’t want to slip into another number halfway through your celebration. P.S. 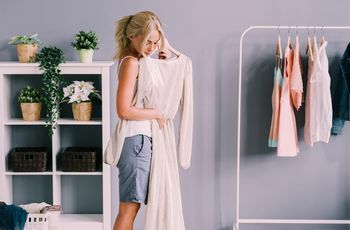 if you really want to change, you may want to shop your own closet and bring a second dress from your existing collection.